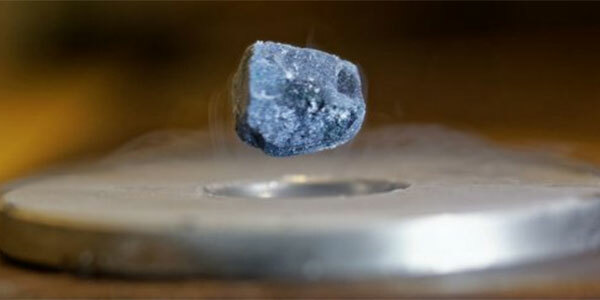 Superconductors are materials which do not offer resistance to the electric current flowing through them. Thus electricity could be transported through superconductors without incurring any loss and thus they are of great attraction for engineering applications. The superconductors so far discovered offer zero resistance at considerably low temperatures and metals are generally candidates for bad superconductors. When cooled metals generally develops competing states that works against the transition to the superconducting state. However, ateam of Japanese scientists developed a new technique of cooling a metal so rapidly that it will not even a get achance to enter the competing state, where it fails to be superconductive. By rapid cooling a mixture of iridium and tellurium from 270C to -2690C, the team has achieved a transition from metallic state to superconducting state. According to the research team, this discovery would not only solve the energy loss problems in electrical power transmission, but also would lay a foundation for the development of high-speed quantum computers.